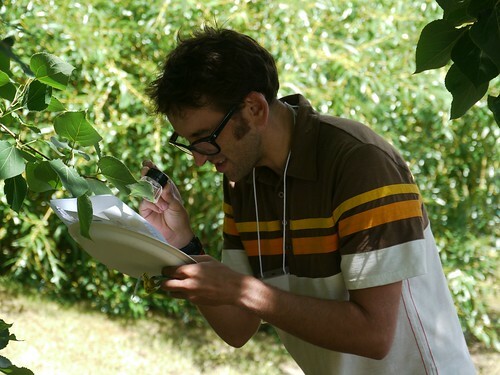 Afterwards, the three join approximately 20 other teachers to discuss what each team found during their tree study. Together, the teachers discuss how elementary students can explore forests and the habitats they provide and, ultimately, begin developing a coherent, scientifically-based view of the world around them. 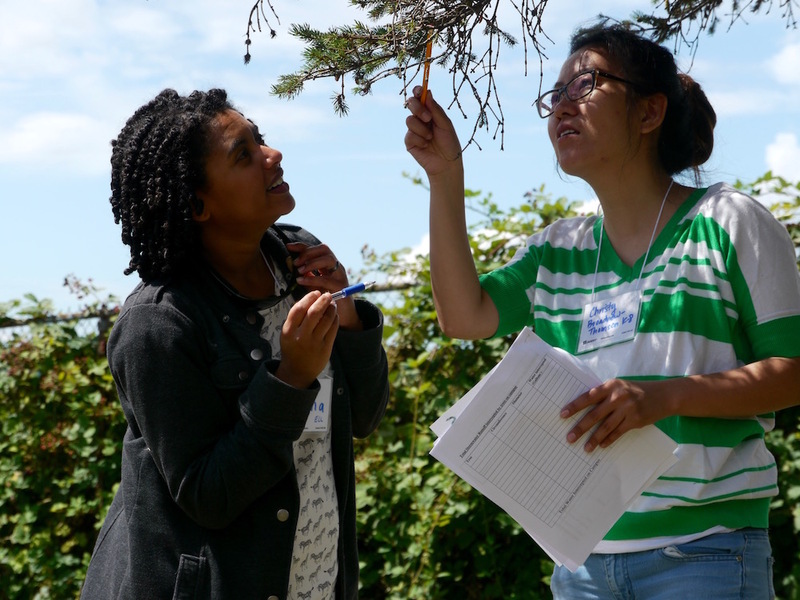 The tree study is part of the University of Washington’s EduDesign Lab, a professional learning community comprised of a team of alumni and their colleagues working to continually advance their practice. Sponsored and supported by the UW College of Education’s INSPIRE center for collaborations in professional learning, the lab’s teacher-led facilitation team held the second annual four-day summer institute earlier this month on the topic of strengthening their science teaching practices. Deborah Massachi, managing director for INSPIRE, supported EduDesign Lab leaders as they worked together throughout last school year to plan the summer institute, held in partnership with Launch, a summer learning program for children. “The EduDesign Lab is an opportunity to bring what faculty at the College understand about adult learning to help answer the question, ‘How do we support in-service teachers to connect as professionals, learners and leaders in meeting the needs of today’s students?’ Doing so has important implications for our state’s dire need to both retain and recruit a strong and dynamic teaching force,” Massachi said. Christy Harris (MIT ‘12), a teacher at Seattle’s Broadview-Thomson K-8, participated in the first EduDesign Lab and served as a leader and co-facilitator for this summer’s institute. During the first two days of the institute, teachers learned where science teaching is heading, delved into the rigorous Next Generation Science Standards (NGSS) being implemented in Washington schools, and explored local and online science resources. Participants heard from experts from the UW College of Education as well as representatives from Woodland Park Zoo, Magnuson Nature Programs, Camp Long, Seattle Public Schools, Pacific Education Institute and local teacher leaders. While MaryLynn Halpin, a first grade Spanish language immersion teacher at Seattle’s McDonald International School, has taught math and science lessons, she wasn’t comfortable straying too far from the pre-packaged kits available to her. “This year I had a group of students who were really interested in science, and I found myself wanting to increase my knowledge so I could help get kids more excited about science,” she said. That led her to sign up for EduDesign Lab. In just a few days, Halpin has a long list of ideas to take back to her classroom, such as using videos produced by Woodland Park Zoo to teach students about animals and scientific observation. And, Halpin said, discussions with fellow lab participants prompted her to think about how she can share what she’s learned back at her school. “I feel like we can really grow at my school by having more conversations about Next Generation Science Standards and how to incorporate them in our teaching,” Halpin said. Harris said participating in last summer’s lab, which focused on building teachers’ technology toolboxes, helped her think deeply about how to craft her practice as an educator. She began using the application VoiceThread—which enables users to express their thoughts using voice, video or text—to talk about their academic, social and personal goals at the beginning and end of the year. She also joined the district’s NGSS and computer science leadership teams and will serve as a mentor for a Seattle Teacher Resident during the coming year. “EduDesign Lab has really helped with my confidence and opened up opportunities to be a leader in my district,” Harris said. Support the work of INSPIRE.